A Viking ship. Viking trade took the Vikings all over the world. The Vikings were Indo-European people from Scandinavia (modern Denmark, Norway and Sweden). Around the 400s AD the Vikings started to make frequent raids by boat into Europe. They even went into the Mediterranean Sea and raided Sicily and southern Italy. The Vikings started to attack the Atlantic coast of southern France around 400 AD, and also the eastern coast of England. In 860 AD, another branch of Vikings migrated south-east into Russia to trade with Constantinople. A large Viking fleet attacked Constantinople in 860. 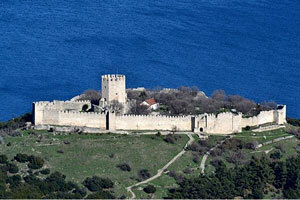 Even though they couldn’t get past the walls of the city, they plundered many rich monasteries outside the walls. In Russia, the Vikings gradually mixed with the Slavs who were living there and founded the country of Russia. Together, the Slavs and the Vikings took their boats down the Dnieper river to the Black Sea, where they traded with people further east along the Silk Road like the Samanids. The Vikings sold furs and wool cloth, and possibly horses, to the Samanids, and the Samanids sold the Vikings silk from China, and steel from India and Central Asia, which the Vikings took home and made into excellent swords to sell in Europe. Some Vikings may even have converted to Islam. By 1000 AD, some of the Vikings settled in northern France, where they were called the Normans, or Northmen, and the area where they settled is still called Normandy. Here the Normans also converted to Christianity, and Matilda and William built their churches. In 1066 AD, William and his Normans conquered England in addition to their land in France. The Vikings and the Slavs kept on raiding the Roman territory around Constantinople, though they could not take the city itself. Soon the Byzantine Empire was hiring Vikings as soldiers. By 999 AD, there were Viking mercenaries fighting for the Lombards and the Byzantines in Italy. By 1050, the Vikings started to conquer south Italy for themselves. Many Viking men also fought for the Byzantines at the Battle of Manzikert between the Byzantines and the Seljuks over Armenia in 1071 AD. After losing the battle, these mercenaries revolted – maybe hoping to get land for themselves as their friends had done in Italy – but this time Alexius Comnenos defeated them. Not long afterwards, in 1096 AD, the Vikings returned to Constantinople as the First Crusade. Alexius helped them get to Jerusalem, where they established a new kingdom. By 1151, the Normans controlled all of southern Italy and the island of Sicily, and were making repeated attacks on Greece, sometimes building castles there. About 1190, the Normans in Italy fell under the control of the Holy Roman Emperors, from Germany, and became more or less part of that empire. Not all the Vikings went east, though. At around the same time, some Vikings sailed west to Iceland, Greenland, and even as far as Nova Scotia, in modern Canada. Some Viking men married Native American women there. 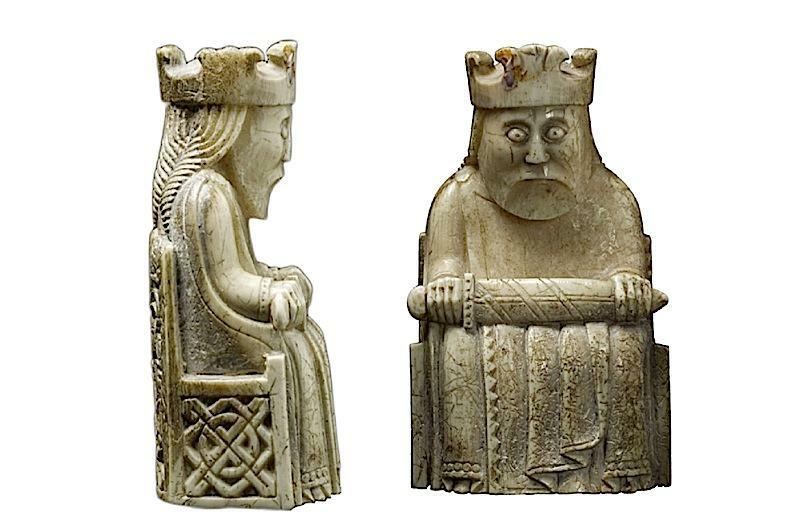 The Vikings may have been looking for ivory, and the Inuit may have moved east to Greenland in order to sell walrus ivory to the Vikings and buy steel knives. 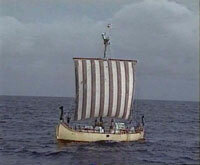 Viking people settled in Iceland and Greenland, but by the late 1400s they left Canada and Greenland. Probably this was because a global cooling period beginning about 1300 AD made the oceans too icy for their ships, and maybe it was also because Europeans were starting to be able to get higher quality elephant ivory from West Africa. Eyewitness: Viking, by Susan M. Margeson and Peter Anderson (2000). You Wouldn’t Want to Be a Viking Explorer!, by Andrew Langley and others (2000). The Vikings: 350 Years of Adventure to Unlock and Discover (Treasure Chests), by Fiona MacDonald (1997). Cite this page: Carr, K.E. Vikings – Early Medieval Scandinavia. Quatr.us Study Guides, August 2, 2017. Web. April 20, 2019.